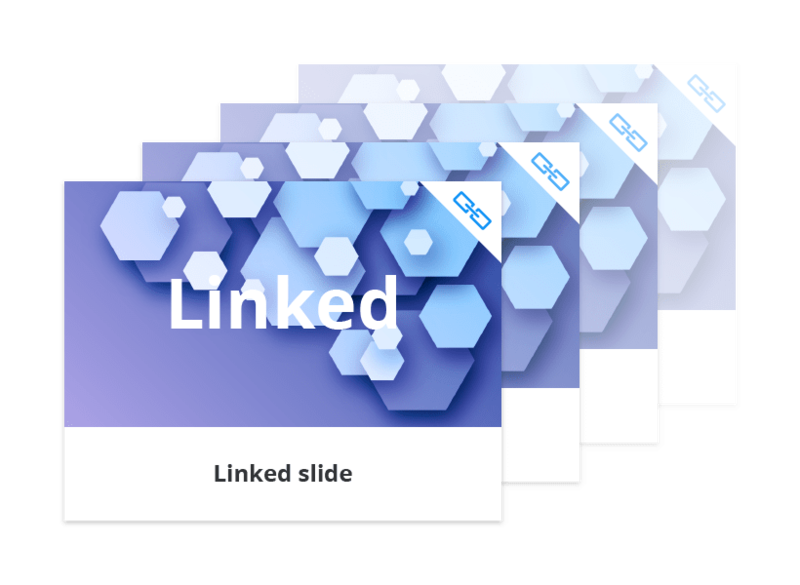 Present your slides easier online with matrix navigation and your own presenter's view, meanwhile keeping your whole team's presentations up-to-date. 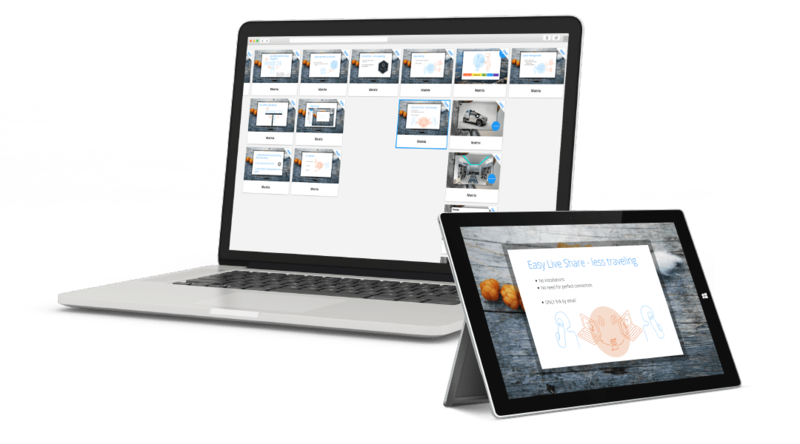 You no longer have to worry about everyone having the most recent presentation materials. Seidat Cloud does that for you. Team collaboration is easy when everyone gets always the latest materials automatically. Different audiences need different presentations. With the innovative matrix navigation of Seidat, you can easily tweak your presentation to fit the circumstance - on the spot. Step through the top slides for an elevator pitch, dive into more detail or utilize internal links for even more control. You can choose to Smart-copy presentations and individual slides when you're using the exact same slides on a different presentation. 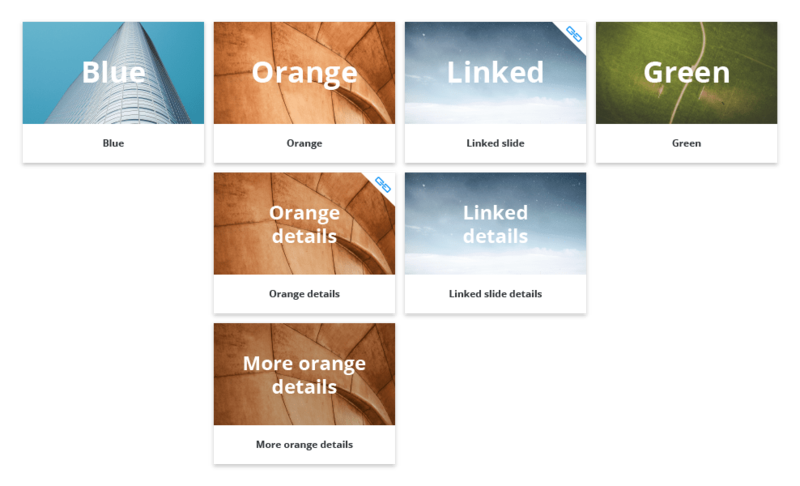 With Smart Slides it's easy to keep everything up to date, sharing the same slide between multiple presentations. With Seidat sharing is incredibly easy, safe and controlled. You can share your work by Live Share during a phone call and keep control of what happens on the viewers screen. Or share a link where your audience can go through your presentation in their own time - you choose. No attachments, downloads or installations required. Which presentations have been opened and by which organization? Which slides have been looked at and for how long? By tracking your presentations you get the answers to all of these questions.  With Seidat it is easy to be creative with its' versatile content options. In addition to pictures, gif-animations and videos, it's simple to embed engaging and interactive online content, such as 3D environments, panoramas, graphs and other websites in the presentations. All pictures are stored in Seidat's image bank, always available to use for anyone in your team. The image bank has unlimited space for your pictures and icons. You never know when a presentation may be needed. Having your presentations online and up to date, available on any device, means that you are always prepared. Everyone, both in your team and those viewing your shared presentations, will also see your updates immediately. In a team, people tend to have different responsibilities and skills. In Seidat you can easily manage what everyone may do or can access. Everyone will be kept on the same page, with branding and style consistent for all. Using pre-defined styles and color palette, it's simple to keep the same look through all presentations. The whole team also shares the same image bank, and your raster images are automatically optimized. Wherever they are used, they will show up beautifully and load quickly. Kiitos! Olemme sinuun pian yhteydessä. Hups! jotain meni pieleen. Yritä hetken päästä uudelleen.